We’re happy to announce that 3D Basecamp is coming to Australia for the first time! Set around the world’s largest natural harbour in Sydney, this must-attend gathering is designed specifically for the needs and interests of all SketchUp users. This one-day event is for people who design, model, work, plan, coordinate, innovate, and play in SketchUp. If you’re interested in 3D modelling, this is the conference for you. We have a great selection of speakers for the 3D Basecamp presentations.These sessions are designed to show you the innovative and proven ways of using SketchUp. 3D Bootcamp is the hands-on training track that runs throughout 3D Basecamp. We have 2 intensive sessions planned for those that want to get in-person training from the experts. We want you to get the most out of the 3D Bootcamp training sessions, so we have capped the group size to 20 people. We ask that you register promptly to avoid disappointment. Trimble acquired SketchUp from Google in 2012 and we became the SketchUp distributor for Australia in 2015.Our group of companies, BuildingPoint, UPG and SITECH, are the Trimble distributors for Australia. Every 2 years, we hold our Transform events in Brisbane, Sydney and Melbourne to share the latest Trimble technology and industry trends. 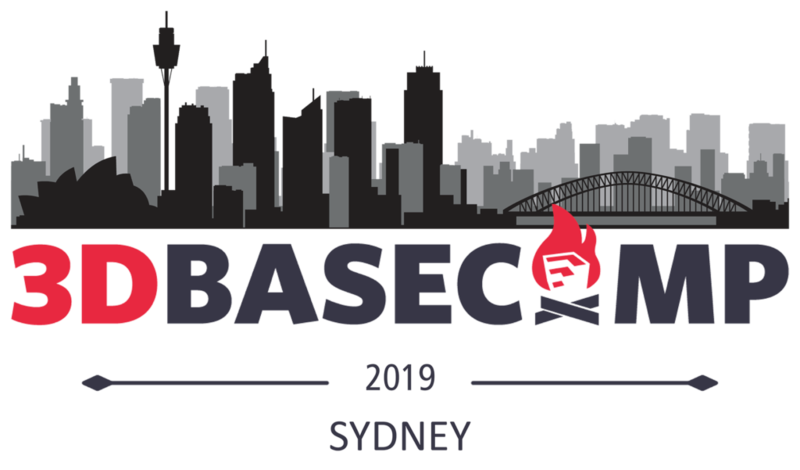 Basecamp is being held in conjunction with Transform in Sydney. We'll kick off the day with a session by Roz Buick, Vice President of the Buildings Group at Trimble. Roz has been with Trimble for 20 years and will outline where we are focused today, and, more importantly, tomorrow as she takes us through the Trimble journey as we celebrate its 40th anniversary. We'll also learn about the Australian economic conditions from Adrian Hart of BIS Oxford Economics as our Keynote speaker. We will break for lunch, where you will have a chance to peruse the latest Trimble software and hardware in the exhibition hall. You'll have the opportunity to try out a Microsoft HoloLens and walk through a SketchUp Model in real-life scale. For the afternoon sessions, you break off to either attend the 3D Basecamp presentations, or to the 3D Bootcamp training session. Note: You must have registered for these training sessions. No additional places will be made available on the day. 9:15 – 10:15 Current state and future predictions in Australian Infrastructure and Mining – Adrian Hart, Senior Manager – Infrastructure and Mining, BIS Oxford Economics. Current state and future predictions in Australian Infrastructure and Mining – Adrian Hart, Senior Manager – Infrastructure and Mining, BIS Oxford Economics. See the session abstracts and speaker bios here.